If giant tube worms can thrive in deep ocean vents, why not plants that wake up in winter, right? Nature abhors a vacuum, after all. If there is space, evolution will fill it. (Yeah, you read that right----evolution, which is real and happening right now!) So when nearly everything is slowing down for the freeze in the northern regions, these plants take over. Yes, most of these are natives of the Southern hemisphere and no, smartypants, they are not called winter growers because it's summer down South. They really do fall asleep when it is very hot and wake up when it cools down. 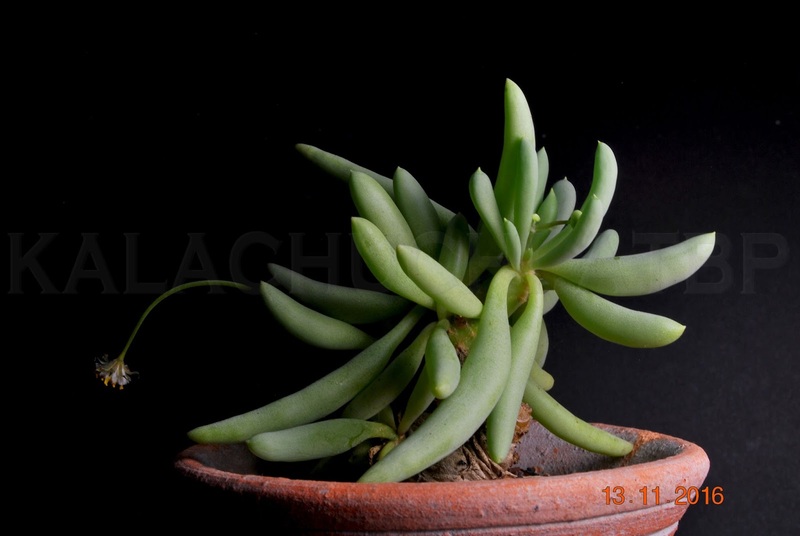 But succulents that are generally known as winter-growers are usually opportunistic growers. 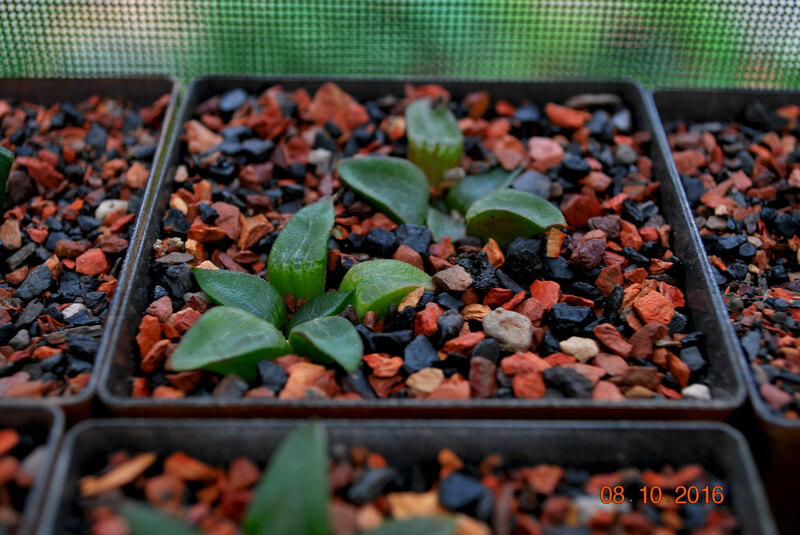 If it is not too hot in summer, they will keep growing, albeit slowly. Some drop their leaves as soon as it gets hot, but if shaded from full sun, some of them will keep their looks. Still, keep being careful with summer watering and don't feed them when they're supposed to be slowing down. 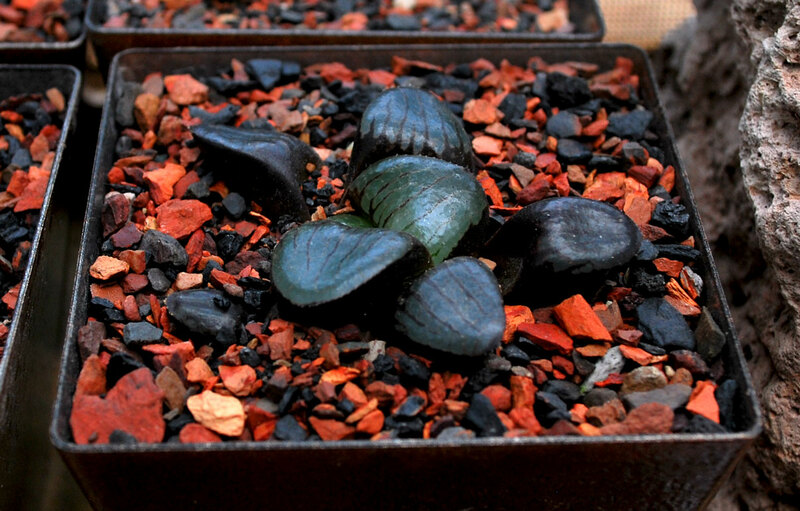 As soon as the average day temperature drops consistently below 20C, though, they'll start flushing with new leaves. Tylecodons and othonnas are prime examples of sporadic opportunists. I've never actually seen them drop leaves in summer. They do, however, stop growing new ones. 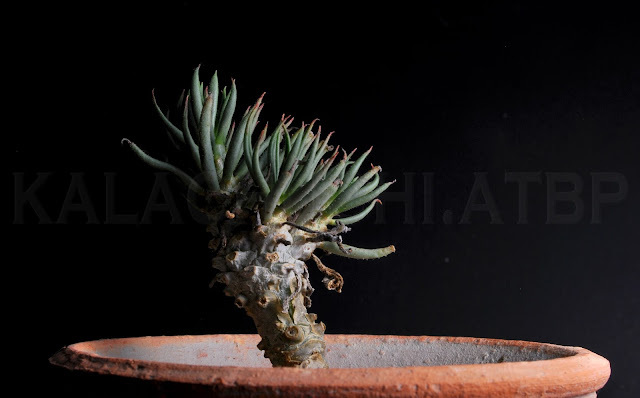 Tylecodon buchholzianus. 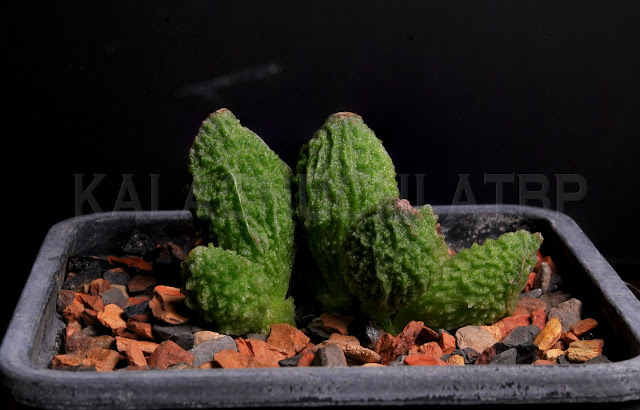 (LC) This plant is an absolute pain--the slightest nudge of my cat's soft, padded snout can dislodge or break it. Fortunately, it isn't that sensitive to being dislodged or to breaking. Just put it back in the pot and try to avoid even breathing on it. 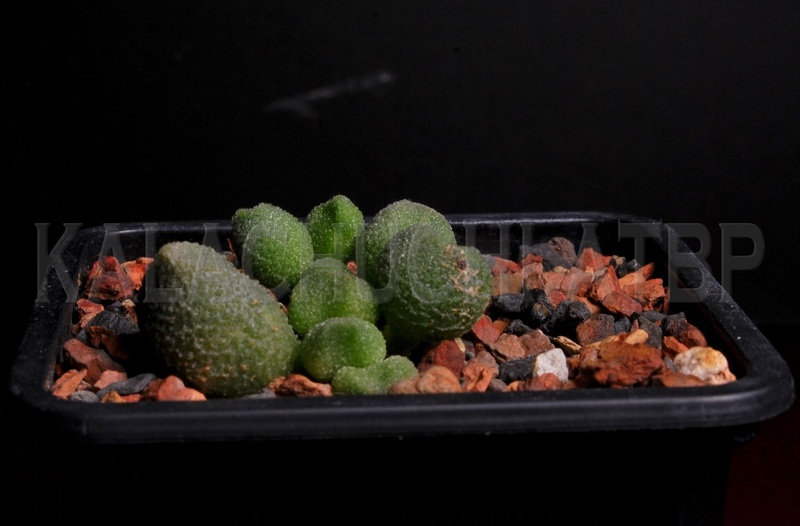 Now, adromischus plants are definitely opportunistic growers. In summer, they may stop putting out leaves but they will start blooming. The inflorescence does not have the drama of, say, ceropegia flowers, but if you like tiny, dainty little blooms or want to experiment with hand-pollination, you may want to let them bloom. I wanted to give these at least two years to mature so every attempt to bloom was nipped in the bud, as it were. If you do that, the plant will continue to grow but slowly. 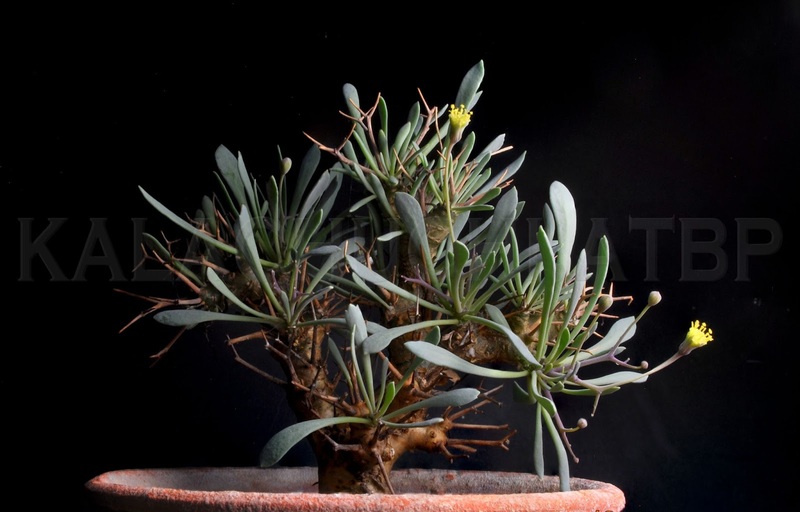 In summer, treat them like a cactus in winter---shallow and infrequent watering if in full sun, or don't water at all. Just let the rain take care of it. As soon as temperatures cool down, you'll notice them trying to push new leaves two or even three at a time. Feed 'em! In the wild, these are some of the rarest habitat specialists. Fortunately, it turns out that the genus is relatively easy in cultivation and the species are happy to cross with each other. So nearly all adromischus in cultivation are crosses and cultivars developed in nurseries. This means that collectors have long ago stopped poaching them from the wild. 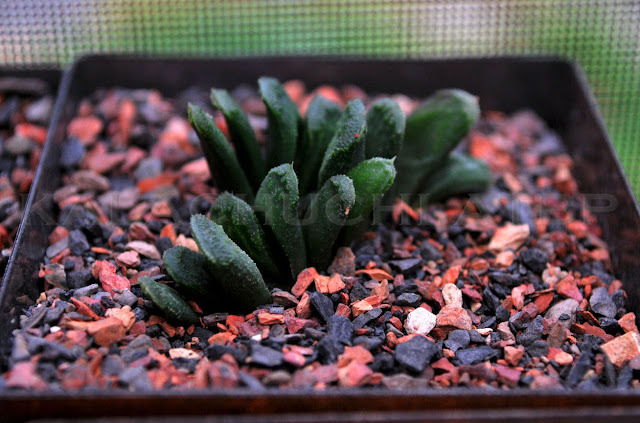 But since they are rare in habitat to begin with, adromischus are still in danger mainly from mining activities as well as severe habitat degradation by, of all things, ostriches. But the prettiest ones are available at specialty nurseries. They are also easily seed-grown, if you are up to it. 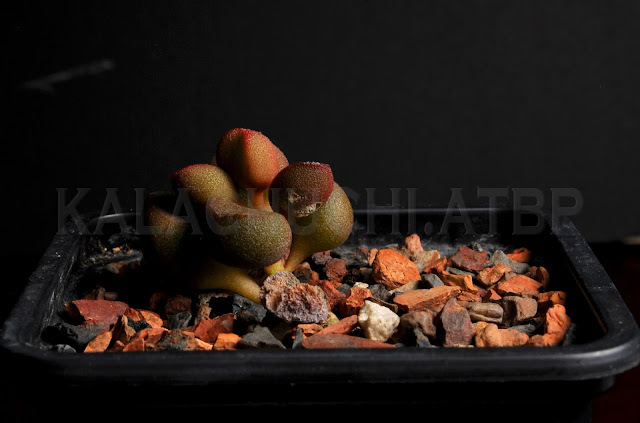 Adromischus marianiae "Little Crusty Sphaeroid"
Adromischus marianiae "Little Sphaeroid Red"
Adromischus marianiae herrei "Lime Drops". Adromischus marianiae fa herrei "Butter Nut". That small clump on the left used to be the the tip of the parent plant. 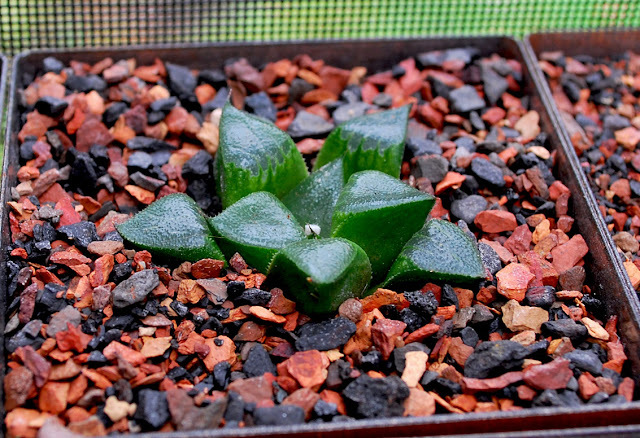 I want to keep this compact so I snipped it and stuck it in the pot. 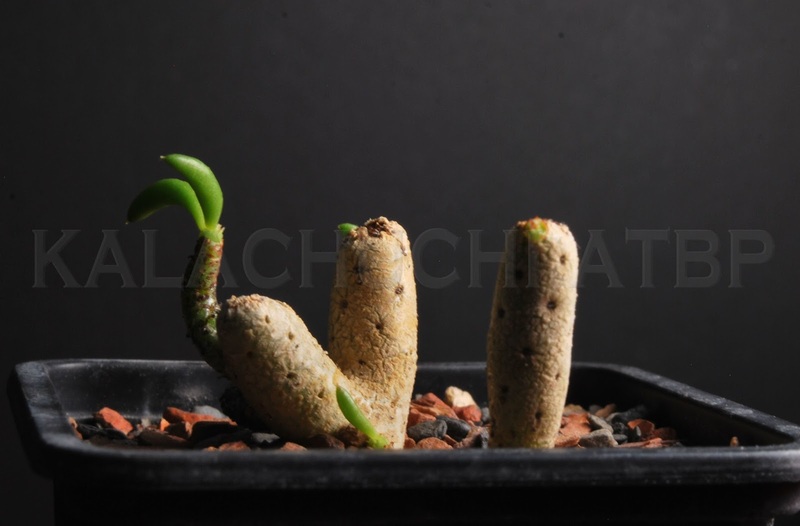 It is rooting very nicely and has started to push new growth. And look! The trimmed tip is already growing a new leaf. This is very good, indeed. 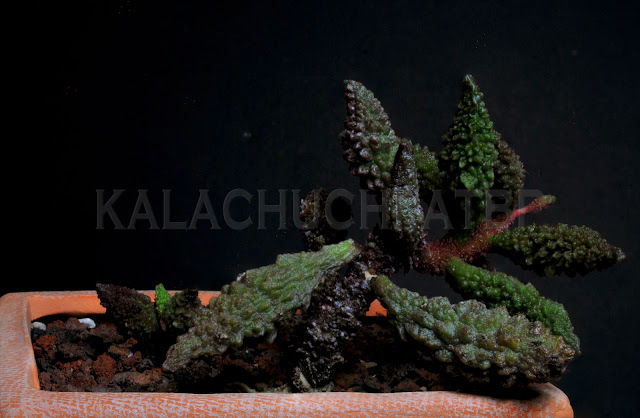 Adromischus umbraticola ssp. 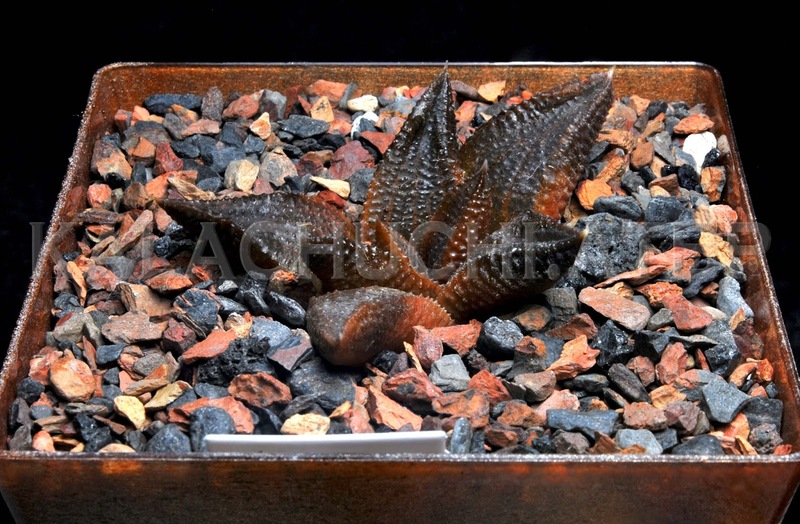 ramosus. Notice the clumps with filaments? 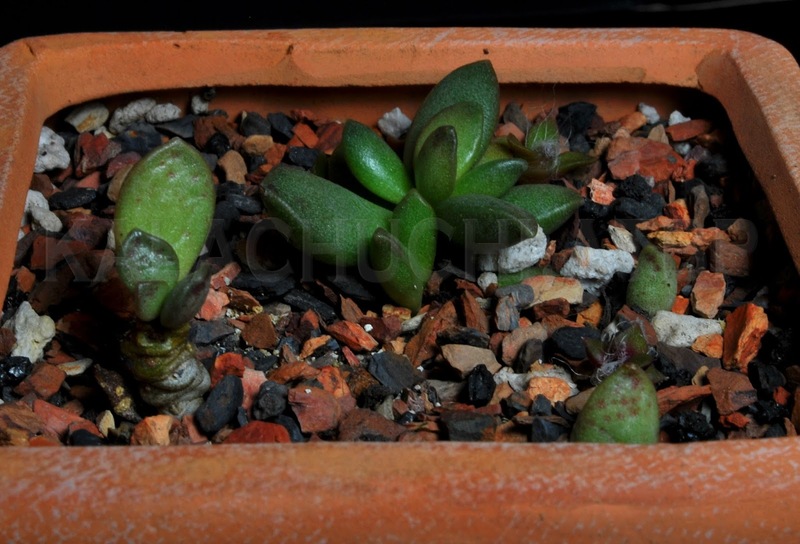 I think those are anacampseros, probably seeded in the nursery. They make it complicated to water this pot but this particular species has no issues being watered like anacampseros seedlings so we're fine! The best winter growers, of course, are haworthias and gasterias. These are usually asleep in summer; the do not like to be awake when it is hot. They turn gaunt and look stressed. As it cools down, though, they plump up. 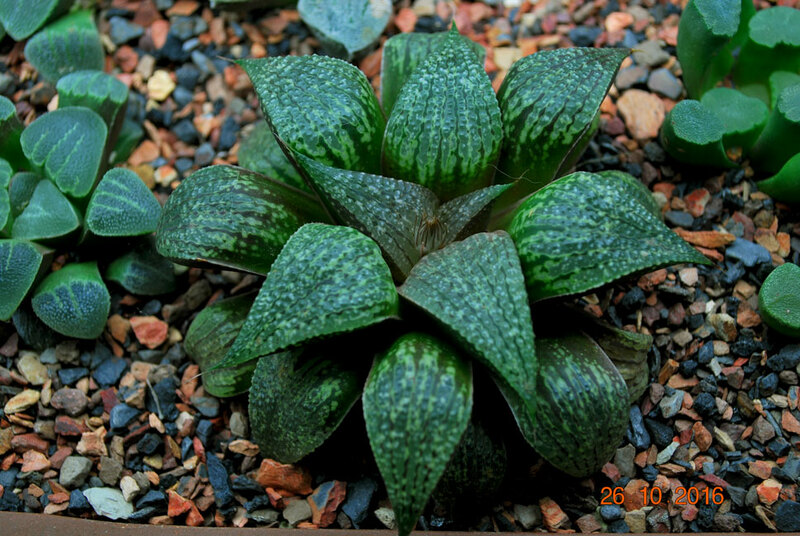 I have inevitably accumulated more haworthias since my Seven blather. These are all from Succulent Tissue Culture. Who can resist these, I ask? 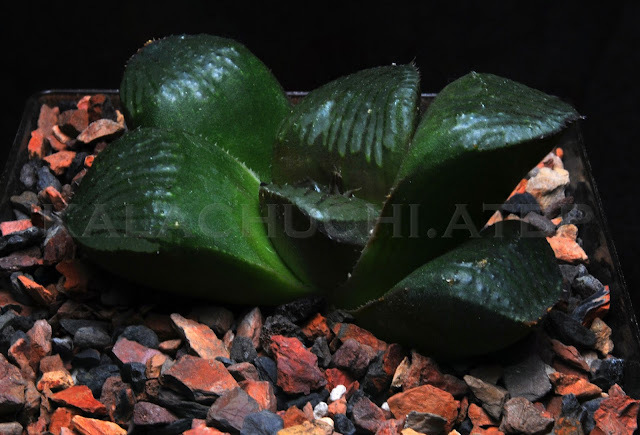 Haworthia comptoniana x bayeri "Secret Forest"